Is the darkest and warmest part of Lumo Nordic. The fire in the sauna stove is the heart of Lumo Nordic. It can be heard and seen throughout the saunas. It is the source of relaxation at its deepest. Our saunas are unisex, though in some Large concept spaces we have separate saunas for men and women. These saunas are located next to the showers, and they can have a common stove with other saunas. In the sauna area there are different saunas as well as different showers and cold and warm pools. There are both normal and rain showers available between saunas so guests can easily shower between sauna baths. Small, deep, one-person cold-water pools are meant for fast dips. Our warmer pools accommodate five guests who are invited to sit for a while on the built-in benches. While warm, our pools not as warm as spa bubble pools. Treatments and massage are given in the Sauna Area behind a screen that is removed when not in use (in some Large concept spaces a separate room is available). During less hectic hours of the day, massages can be given inside saunas. Treatments can be booked beforehand or, if available, spontaneously without a reservation. There are several relatively small windows in most our saunas, preferably with a relaxing view toward nature. In the Sauna Area ceilings are lighter than walls and floors and daylight streams in from the windows though the light is never too bright. Electric lighting is placed in ceilings and/or in walls. Block candles can be used in wintertime. Floors and benches do not get slippery or too hot. They are easy to keep perfectly clean and odorless. 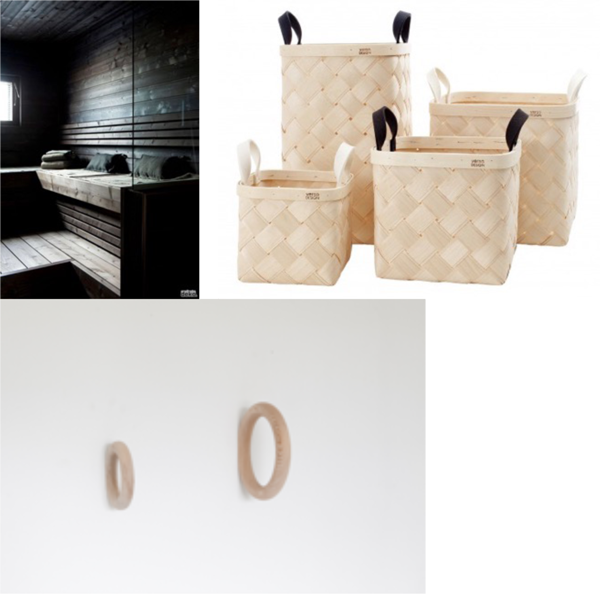 Outside every sauna, there are hooks for towels and baskets with clean seat covers. Seat covers can be made from a cotton and linen blend or from thin wood. Wooden covers are burned after use. For used cloth covers there is a special basket on the floor next to all saunas. Sauna whisks (either dried or fresh depending on season) are available in the Sauna Area. They can be picked up at the bar. For best affect, we advise our guests to bath according to our relaxation rotation. This means flexing between hot and cold several times. We therefore make it is easy to move between hot saunas and cold showers, pools or terrace. We also have small tubs for feet with cold and warm water. From the Sauna Area one can access the bar, where smoothies, juices, soft drinks, beers and other light alcoholic beverages are sold. There are also snacks, such as fruit and nuts for purchase. In some premises guests can consume drinks easily between steams by writing their names on their glasses and storing their drinks on specific shelves in the Sauna Terrace. The Sauna Terrace is mainly a place to cool down and is hence separated from the terrace of the Eating and Drinking Area. It can be directed towards east or north. If there is an outside pool or tub, it is located on this terrace. Where applicable, guests walk through the terrace to go swim in the lake or sea.